In a world where every few weeks it seems there is another massive loss of lives all over the news, and a new support banner filling our Facebook feeds, I often find myself stumbling to find the words to explain to my small children what these events truly mean. As an adult, it’s still hard for even me to process and digest such blatant hatred and complete disregard for human life by those that instigate these massive public attacks. So how do I explain a suicide bomber in an airport a world away to a preschooler? How do you tell a child about an attack on a night club just a few states over? The answer isn’t clear cut. And I sincerely believe that there is no “perfect” way to tell your little ones that the world is hurting and far from perfect. But if you’re like me, and have a very tenderhearted and inquiring child, avoiding the subject just seems to bring about more questioning and curiosity. And it makes sense that kids want to know more about the scary things that pop up on the news, because they too, are connected to this world — and they have a natural compassion for the people in it. That compassion, that innocent love for humankind, that is something that I don’t want my child to lose by avoiding this topic. So with a lot of conversation and debate with my husband, we decided that the next time our eldest son asked about the latest terrorist attack, we were going to do our very best to answer his questions in an age-appropriate way. We thought that we would have some time to figure it all out and navigate these new uncharted waters of parenthood. And then not even a week later Istanbul’s airport was attacked, and again the news reports started spilling in; our four year old asked the big question we were biding our time, hoping not to have to answer…”Why? 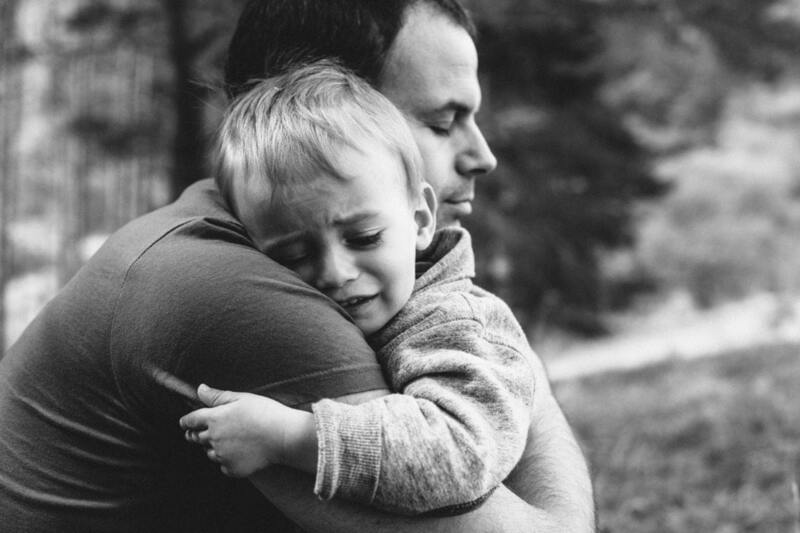 Why are people hurting other people?” And it’s so complex and confusing, and is there is no clear answer, so with a lump in my throat and tears in my eyes I prayed for some grace as I attempted to explain tragedy to my son. I can only share my story and hope that if you’re looking for a way to approach this awful and gut wrenching topic with your kids, that it is somewhat helpful. I’m certainly no expert. I sincerely hope that one day we live in a world where this is no longer a conversation we need to have, but until that day it’s my intention to keep things truthful with my son. As best I can for his age and comprehension, of course. As a community of mothers, I would love to hear about your experience in addressing tragedy with your children. If it has come up, please tell me how you handled it in the comments below. Sarah Ring is a small business owner living in Dallas with her husband of ten years. She is a mother to two elementary aged sons and one toddler daughter. She is passionate about travel, date nights, Southern manners & traditional children’s clothing but above anything else, finding grace in motherhood is her greatest accomplishment!